Discover clear Bible answers to the following questions: How can I find peace and be sure of eternal life? What really happens after death? What will take place just before the end of the world? What role does the USA play in Bible prophecy? What is the truth about the rapture? 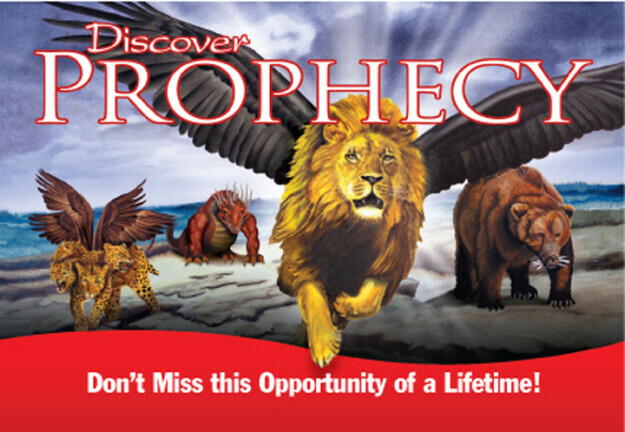 Speakers: Dave Weigley’s - Discover Prophecy Seminars have transformed the lives of thousands throughout the United States and around the world. Dave is a popular and dynamic presenter, well known for making complex Bible topics easy to understand. Dr. Weigley utilizes some of the latest multimedia technology with vibrant illustrations, assisting in understanding Bible truths in a modern context. This seminar is especially designed for busy people and is open to all—you won’t want to miss a single night. Roger Larsen - The Discover Bible School will be conducted each night during the seminar by Roger Larsen. Pastor Larsen is the Senior pastor of the Hagerstown Seventh-day Adventist Church. He has taught middle and high school Bible and has served as a professional Bible Worker. He has a deep interest in making the Bible understandable for all ages. Receive free study materials and Bible for attending. Day care for kids ages 4-10.